Today we celebrate and thank Student Missionaries, current and returned, for their generous work all over the world. The flags in the sanctuary serve as an invitation to remember these dedicated people in prayer, remind ourselves of the global nature of our church, and for students who have yet to volunteer, to encourage them to consider it! Each year, the WWU Student Missions Department works to empower 50–80 volunteers who find themselves teaching, pastoring, or serving as tutors, caregivers, medical assistants, or maintenance workers. If you are interested in becoming a Student Missionary, or would like to support the program, please contact Tommy Poole at 509.527.2633 or by email at tommy.poole@wallawalla.edu. Please visit a table in the lobby today to write an encouragement card to a current Student Missionary. 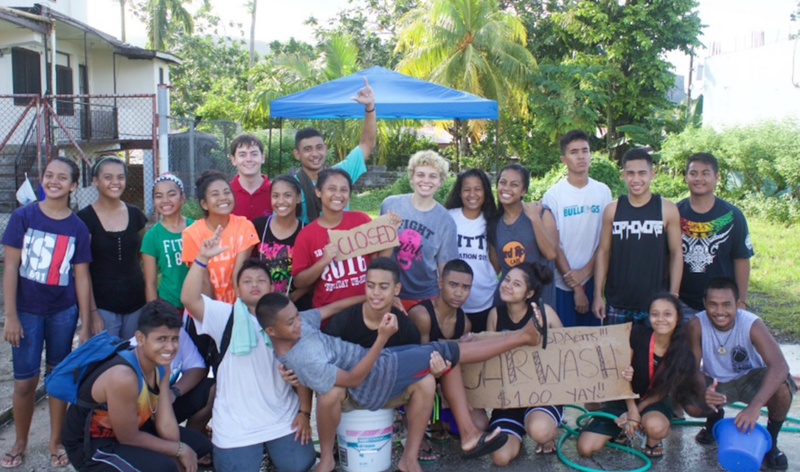 Jacqueline Allison, who served for 10 months on the island of Pohnpei, says about her experience, "While I originally went to teach fourth grade and coach the high school women’s basketball team, I quickly learned that student missionaries do so much more than what’s in their job title. Some experiences were heartbreaking, while others left me laughing so hard I couldn’t breathe. There were times that God showed His hand in undeniable ways, and moments where I had to simply trust His plan in the middle of silence." 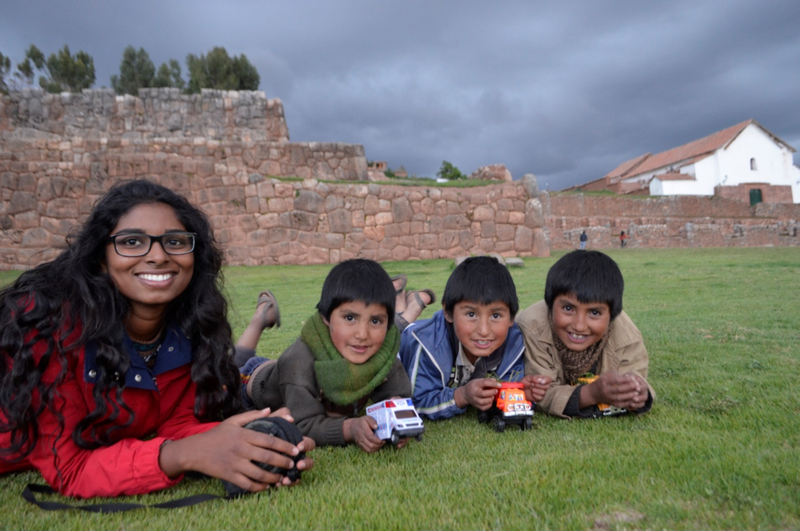 Rohini Nageshbabu, who served in Pucallpa, Peru as a student nurse, orphanage coordinator, and Bible worker, reflects on her experience, "Going to a different country, not knowing the language or people was not easy, but I knew that it would be an experience of a life time. Serving in Pucallpa was one of the best decisions that I have ever made in my life because, God blessed me with so many rich experiences that enhanced my personal relationship with God." We wish a warm Walla Walla welcome to every visitor on this family weekend. We are excited today to hear the debut of this year’s Walla Walla University Symphony Orchestra directed by Brandon Beck. Please join me in thanking the many students and community members of both the orchestra and University Singers. The translation of the first choral anthem, a setting of an ancient Latin hymn, is given below. The second choral piece, our offertory, is an arrangement of an old English hymn-carol first collected by Ralph Vaughan Williams in 1909. The text for this is also printed below. As you prepare your heart to worship I invite you to meditate silently on these texts or on those of our hymns. He here did live, and here did preach. Why aspire to the pearly gates and harps when we can Netflix and chill? WWVA Orchestra presents Bottom Line Duo a bass and a cello performing great music with a hilarious twist, October 30 at 7 pm in the Fine Arts Center. Tickets - Adult $25, Student - $20. Call 509-386-8140 for tickets and info. You are invited to dinner next Sabbath, October 29 at 1pm in the Jr. High Room. All who are single, visiting, or might otherwise be alone, please come! Milton Adventist Church is looking for volunteers to help with leadership positions in the “Journey to Bethlehem” community program. For more information or to sign up, please contact Marja McChesney, Office Manager at 509.386.6071.